This old wine maker’s house offers 255m² of living space, 5 bedrooms en-suite, tastefully renovated, large and high ceiling rooms, nice swimming pool and tiled terrace around, at the rear of the house, flat garden with a separate entrance for cars on another street, calm and quiet situation, the possibility of Bed & Breakfast, walking distance to daily shopping. 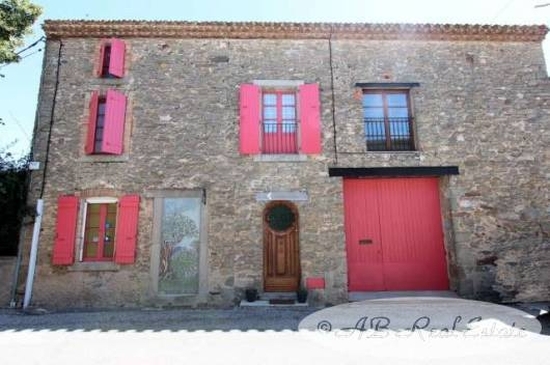 A warm and very cosy well renovated old wine maker’s village house in a quiet typical south of France village. Commercial potential to be redeveloped as B&B if needed. The very large garage could be another development. Holiday home or main living home the property has real potential. Less than an hour to the beach or sky stations. Easy access to motorway, rail system and various local airports.